As a small business coach, it quite amazing to meet owners of companies that have businesses that could be more successful if they had a plan. Without a plan, you are basically casting your fate to the wind and hoping your customers will show up. A plan does not have to be complicated and can be a simple as knowing how many sales you want to get this year, your gross margin, ( sales less costs and operating), who your main targets are for customers and five simple sales steps for attracting the customers you want. The bottom line is you need to be selling new customers everyday and always be closing some form of new business for your company to be successful. Sales should be the most important part of your plan. Customers make companies work. A very successful company that I know has developed three simple steps for getting customers. They want to have the best product in his industry, be an authority in their industry and they over respond to every enquiry to their company no matter how small. The owner plans is to be the best in his industry and tell everyone that he is. His goal is to talk to ten new customers a week and to treat his existing customers like they are gold. He also tries to pay is suppliers first and tells them that he expects the same treatment from them as he gives his customers. To date this company is a leader and has more business then it can handle and most of it's sales come from referrals from current customers. Your task this week is to review your business and consider your plan. If you have one, make sure its working for you, if you don't have a plan, get one fast, and if you need some help with the discipline, think about hiring a coach. As one of my old sales managers used to say; son, you should always plan your work and then work the plan. 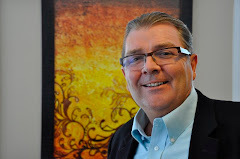 Kensel Tracy is a business coach and Senior Partner in The Corporate Coachworkz. Inc.